We bought our first bag of farro at Aldi grocery store! 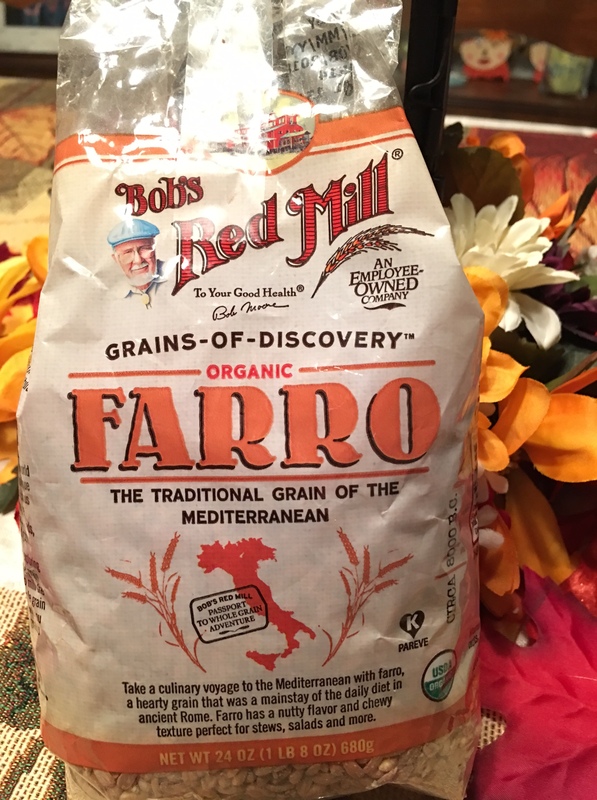 The farro grain was introduced to our home on a cooking show. The next day during our first trip to Aldi grocery store we found this magical grain! The recipe below doesn’t seem like much, but you will fall in love with the texture. I loved how the grain absorbed the olive oil, lemon, and feta flavors. ENJOY! Cook farro according to package instructions. While the farro is cooking, saute broccoli in 1 Tbsp olive oil for 2-3 minutes, just to soften. Combine farro, broccoli, feta, onions and dressing and toss to combine. Sounds interesting, I will have to try this. Let me know if you try it! I’d love to know how it goes. Peace to you sister.